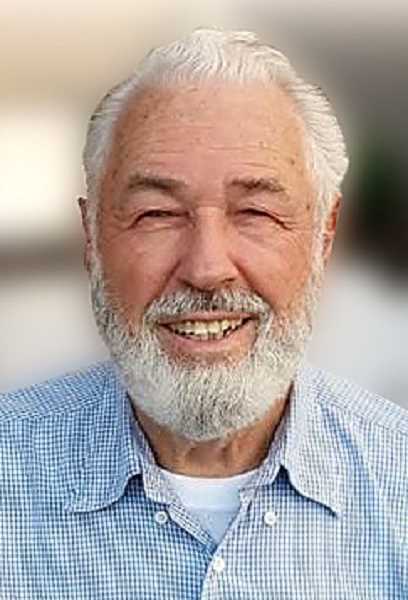 December 7, 1936 to September 13, 2018: Jerry served in various roles in many different churches and Christian ministries all over the United States. Jerald "Jerry" Roy Shoop left this life for Heaven suddenly on September 13, 2018, in Oldtown, Idaho. He was born to Carl and Dollie Shoop on December 7, 1936 in Orange, California. He spent his childhood roaming the hills of the Silverado canyons and learning to love the outdoors. In high school he worked at a supermarket and quickly rose to a management position with Mayfair Markets. He managed several different stores throughout Southern California and enjoyed the challenge. During a trip up to Napa, California he met Maureen Sheridan. They married on August 12, 1956 and made their home in Garden Grove where his job and parents were. Shortly after the birth of their third child they made the move up to Oregon, where the fishing and hunting were much better. Living in Woodburn, Jerry continued to work for Mayfair and Thriftway markets until 1979. He then made a major life change becoming a Pastor at a local Baptist church. He continued to serve in various roles in many different churches and Christian ministries throughout the rest of his life, all over the United States. Wherever he went he made friends and took them fishing. Maureen and he finally resettled in Oldtown, Idaho in 1999, and continued to serve in the local churches while hunting and fishing and enjoying the outdoors. He is survived by his beloved wife of 62 years, daughters Jeanette (Rod) Yates of Woodburn, OR, and Joan (Bill) Maycumber of Usk, WA, and a son, John Shoop of Estacada, OR. He prayed daily for his grandchildren: Sarah, Adriel, Tess, Josh, Jarod, and Tanner, and his 8 great-grandchildren. He is interred at Blanchard Cemetery in Idaho. A memorial service will be held in Idaho at the Priest River Community Church on Saturday, September 29th at 11 a.m.